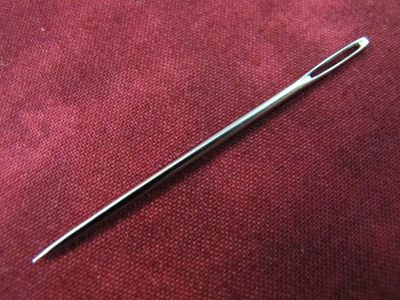 Size 16 chenille needle. 2-5/16" long. This is an all purpose needle for silk ribbon. Nice sharp point makes ribbon glide through cloth easier.